When luxury brands started appearing in social medias like Facebook or Twitter, many said it wasn't a smart move and that the brand in a place where everybody can get in could make the brand lose its value and sense of exclusivity. Many years have passed and brands like Chanel and Louis Vuitton proved that, when well played, there is only good things to come. The latest brand to inovate in the social media field was the french brand Dior. Dior has more than 10 million likes on Facebook, +300.000 on Google+ and almost 1.5 million followers on Twitter. 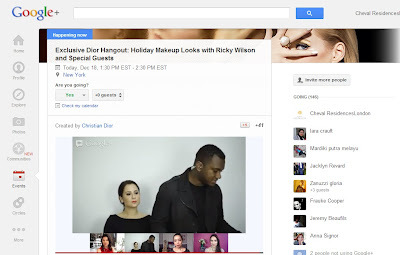 With the hashtag #DiorHolidayHangout the brand invited all their followers to watch a hangout with their make-up artist Ricky Wilson (@wilsonricky) and other make-up artists as guest. The Hangout had as theme make-up to use on the Holidays. 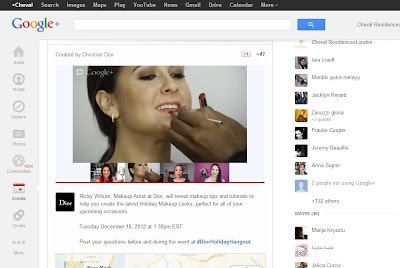 Fans on the brand could send questions to Ricky via Twitter or G+ by using the hashtag. The Hangout lasted about 40 minutes and looked very natural and interactive. The artist used two models (that look like "normal" people not supermodels, very smart move) to show the "how to do it" and answered 3 questions. 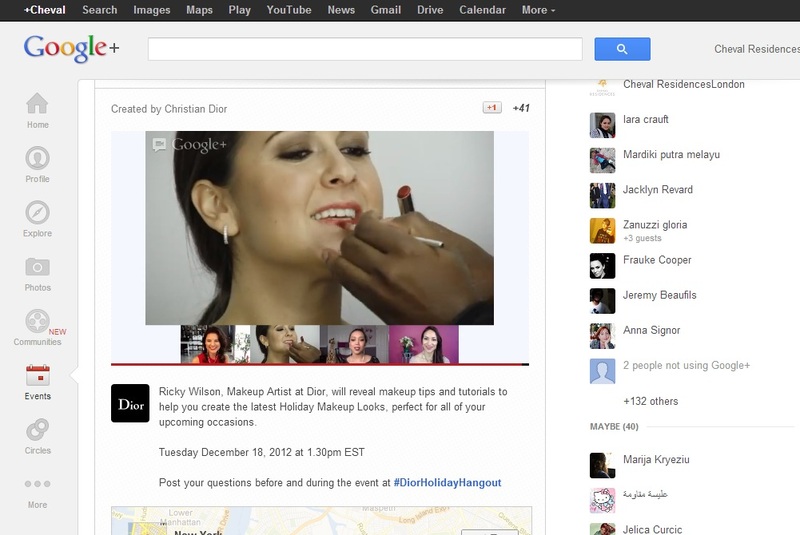 Of course all the make up used was Dior and presented by the host but not in a "comercial" way. The luxury brand was not spared of technical problems, with a guest who could not be heard, a few seconds of Dior out of air and a lot of nervous laughing. But none of this made the project less interesting. Host out of air and the nervous laughing! 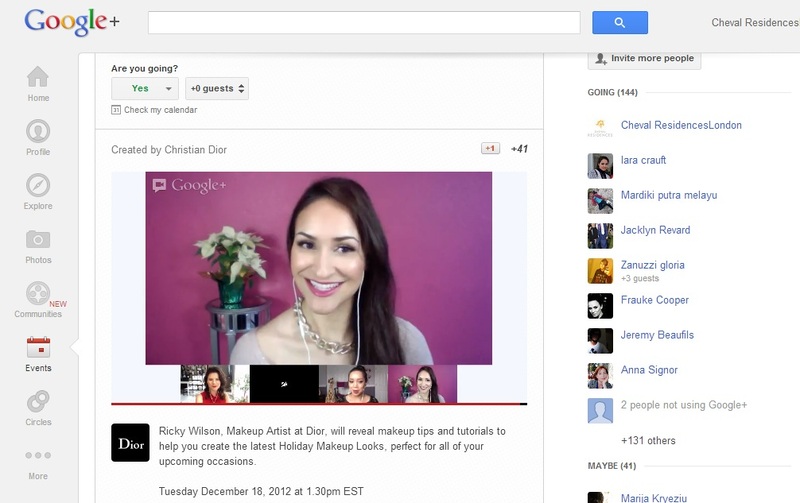 The video is now available on youtube and on G+. And now here! What do you think? Is this a good exemple to be followed by luxury brands? I am sure you are as thrilled as I am... everyone is talking about it since last weekend: Twitter is actively thinking about giving us the possibility to download all our tweets!! We always know the number of tweets that we published, but if we want to read a specific tweet from last year, the search becomes longer and more difficult! 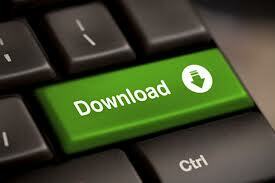 One will receive a nice email suggesting to download the file, where your tweets are sorted in a chronological order. This new feature is interesting for any brand/company having a Twitter profile and who is active on it, because it enables to create a history of the brand's more popular messages. Brands will then be able to know which tweet was the most influential, in order to determine the main trends their tweets are following or creating. Short Sprout Insight about this topic here. 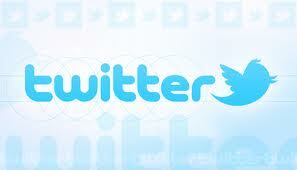 Once you will have access to this feature, how are you planning to use your tweets archive? What do you think of the "Carré Royal bag Giveaway-Concours" ? Generating revenue has become a real challenge for independent hoteliers, since OTAs’ online visibility has increased, and since they have raised the commissions requested to hotels. The solution for hotels would be to limit dependence on OTAs, and increase direct bookings. However, independent hoteliers have limited marketing and communication budgets. In addition, they have trouble remaining visible on the Internet. Google indeed seems to favor 3rd parties’ presence, and recently changed its criteria to rank websites in its search engine. This paper was conducted with the collaboration of Liz Craig, CEO of Oneglobe Network (a web-marketing agency for independent hotels). The strategy being more efficient if well adapted and personalized to independent hotels' needs and requirements, feel free to contact Oneglobe Network or me directly for more details about the strategy. How Independent Hoteliers can Increase Direct Bookings and therefore Revenue, through a Strategic Use of Google, while Limiting Dependence on Online Travel Agencies? by Emilie Alba is licensed under a Creative Commons Attribution-NonCommercial-NoDerivs 3.0 Unported License. 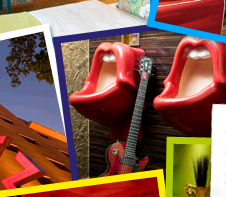 The latest 25hours Hotel: colours and design! Have you ever heard about 25hours hotels? "Come as you are" is the leitmotiv of this trendy hotels chain, gathering 6 European establishments between Germany, Austria, and Switzerland. Recently introduced by Fast Company Design in this article, I completely fell in love with their latest hotel in Zurich: the colours, the design, the carpets in the room, the bathtube... everything is sooo trendy and just makes me wishing I could sleep there once! 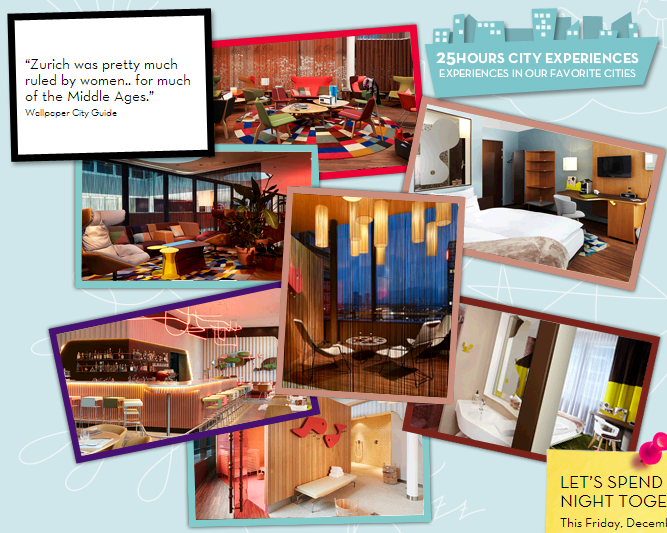 Discover this amazing interior at the 25hours Zurich West Hotel! Each of the 6 structures has a different design team, revealing the personnality of each place and people's imagination; the Brazilian designer Alfredo Häberli was chosen for this latest hotel in Switzerland, who totally sorted out the different pieces of design under "The Smile of My Hometown" theme. In FastCoDesign article, I particularly liked the wink to Airbnb and the fact that the hospitality industry is adopting such an inovative and design approach to attract new customers... I think this 25hours brand actively listens to its customers and labels its structures accordingly! For me it's a big bravo, what do you think? Urinals reminding The Rolling Stones lips logo! This year, Cheval Residences shares tips and recommendations for christmas in London. Following the launch of their new website last June, they now try twice as hard to provide their online customers and their followers with the best Christmas experience ever in London. 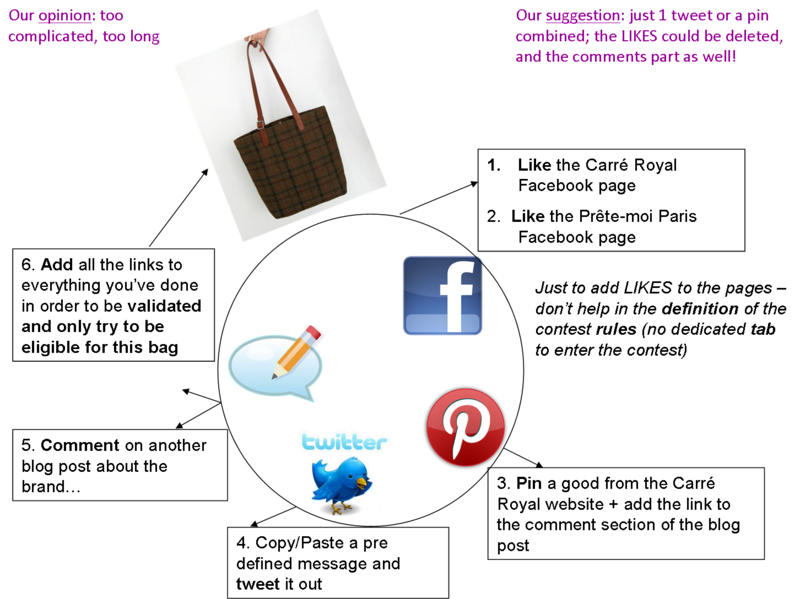 See their communication strategy below, and visit their social pages by clicking on the embedded links. Buy it - post it. Your purchases on Facebook! Facebook and Cielo - the company that manages the credit card machines in Brazil - announced a partnership that will enable the consumer to check-in and recommend the shop to friends on the social network directly upon any purchase with the machine of Cielo. 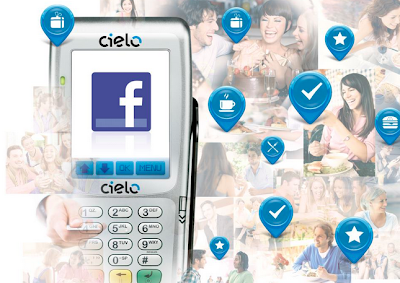 It will be launched this thursday, December 6, in test mode with 30 stores in São Paulo. Besides the possibility of recommendation and check-in, promotions will be held through the tool that will enable the give prizes in their own stores by the consumers themselves or by their Facebook friends who visit the site. However the institutions themselves should contact the company to request participation in promotions. Facebook in Brazil is extremely popular, with over 60 million users. What do you think? Would you use it or you are not ready to expose you Becky Bloom side to the world?